Almost all of these computers have nice, thin aluminum bodies that’ll stand up to a little abuse, and almost all of them can play the latest PC games at high levels of detail thanks to new Nvidia GTX 970M and 980M graphics chips that are becoming the new standard. Most of them have pretty iffy battery life, and so-so screens. Except a few machines using last year’s graphics processors (which made a surprisingly huge difference in game performance), they’re all pretty decent picks. How the hell was I going to figure out which ones were the best? When everything’s great, you have to get picky—and it came down to small details. Creature comforts. Keyboards and touchpads. Design. Price. How balanced the features are—does it have a super-high resolution screen that requires more power than its components can deliver? I looked at every laptop I could find, and here’s how it panned out. The 2015 Razer Blade was so good we labeled it the best gaming laptop overall, but the 2016 version is even better. The form factor is a lot of the same, which means this is one of the few gaming laptops that doesn’t look like a gaudy, vent-festooned bauble. It’s form is clearly inspired by Apple, but covered in a black matte finish that attracts fingerprints like sugar attracts ants. Inside you’ll find a speedy SSD and a Skylake i7 processor. You’ll also find an Nvidia 970M video card. That’s not as speedy as the 980M found on a few other entrants on this list, but it’s perfectly serviceable for 90-percent of your mobile PC gaming needs. But the big changes from last year’s Blade are the keyboard and the price. Razer’s done away with the unattractive Razer font that’s appeared on every Razer device since the brand’s inception, and instead gone for something that’s actually easy to read. And Razer’s cut the price by $400. So you’re getting more PC for less money. There are cheaper devices on this list, and there are devices with bigger screens, and some with better guts. Yet the Razer Blade nails every requirement for a top notching gaming laptop. It’s portable, fast, relatively inexpensive, and really, really good looking. If you need ridiculous amounts of raw, untapped power in a thin, badass shell, the $2600+ Aorus X7 Pro is your only choice. It’s the only sub-inch laptop I found that rocks a dual-GPU configuration—which means it’s probably got enough raw power to obliterate games that are still just a twinkle in a game developer’s eye. It’s a veritable beast: mine came with over a terabyte of solid state storage, an additional 1TB hard drive, loads of RAM (32GB), a wicked fast processor and two NVIDIA GTX 970M GPUs with 6GB of memory each. Oh yeah. Power isn’t the only thing it offers, either. This Gigabyte-built laptop looks and feels like a sports car, with thick, flaring air vents that help the Aorus look like it might just take off into space at any moment of its own accord. This is the laptop Batman would pick. Power and style does come at a cost though: the X7’s battery only last me half as long as the Razer Blade and its trackpad really isn’t the best. It also costs anywhere between $2600 and $3500—but when it comes to performance and style, it doesn’t get any better. For some gamers, a 14-inch laptop like the Razer Blade is too small for comfortable gaming. If a bigger screen is what you crave, you want an MSI GS-series laptop. The $1750 MSI GS60 Ghost Pro and $1800 GS70 Stealth Pro are almost identical—both sport a classy aluminum chassis (I was struck by how strong yet thin each of them were), excellent SteelSeries keyboards, well-balanced Dynaudio speakers and plenty of power under the hood. The only real difference between the two machines is how much visual real estate you want. Want a slightly more portable 15-inches? You’re a Ghost man. Prefer 17-inches of gloriously wide gameplay? That’s the Stealth. The 15-inch Ghost feels a little sturdier and looks a little cooler in my book, but both are fantastic options for gamers who demand larger screen sizes. Don’t care about that? Get the Razer Blade: it has better battery life, a slightly better build quality and is just a little more portable. The Blade, Ghost, Stealth and X7 are all killer machines—but they’re also all really expensive. I can’t afford that, and you might not be able to either. We’re both lucky that they aren’t the only game in town: meet the $1230 Clevo P650SE. Clevo’s laptops usually aren’t anything special—they’re budget machines and quality is always a crapshoot. Some of their laptops are terrible. Some are pretty okay. The P650SE is pretty okay. 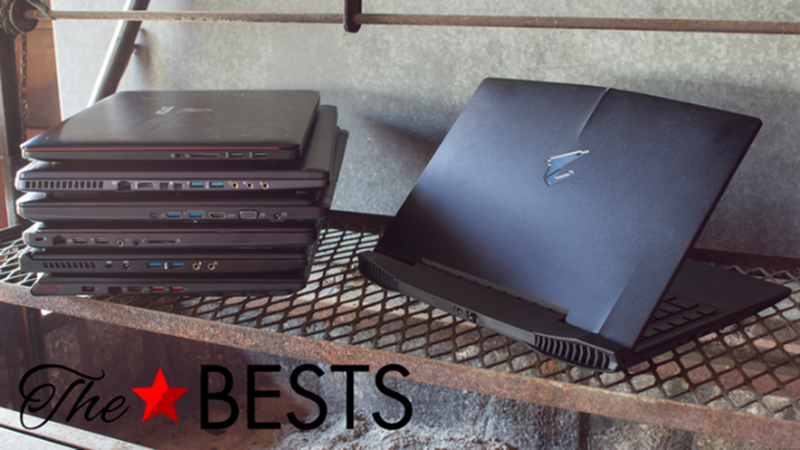 It’s thicker than the other laptops on this list, but it’s still remarkably sturdy. The audio chops are nothing to write home about, but the machine’s keyboard and REAL mouse buttons feel fantastic. The standard-issue 15.6-inch matte display has some of the worst viewing angles I’ve ever seen on a gaming laptop, but a killer GTX 970M GPU makes up for it. I had no trouble tearing through intensive games. Are there compromises? Sure. But for $1230 you aren’t going to get a more powerful, hearty laptop. Oh, there’s one more compromise: Clevo laptops are weird imports and aren’t always easy to find. We wound up borrowing ours from the folks at XoticPC, a boutique PC system builder that sells the Clevo (and other machines) in tons custom colors and configurations. Thanks, Xotic! If the Clevo is still too rich for your blood but you absolutely need a gaming laptop, the $945 Lenovo Y50 is the best you can get. In fact, compared to the Clevo it’s better in some ways—it’s slimmer and has a nicer keyboard and trackpad. The screen doesn’t wash out quite as much when viewed off-center, either, but it’s just not as capable a gaming rig. I could only get most games to run well on medium settings or below, though the last-gen GTX 860M did max out graphics on some of my older games. Still, it’s the best value in a mid-range gaming laptop. Aluminium may be the standard material for premium laptops these days, but I have to admit—the Y50’s smooth, rubberized surface is a nice, soft alternative. Macs are not good for gaming. Many of us may LOVE Macs, but the selection on Steam is still pretty damn limited. Blizzard didn’t even produce their latest game for the Mac and they’ve been one of the biggest proponents of Mac gaming! So do not buy a Mac if you want to game, but do feel free to enjoy games on the Mac you already own! If you are suddenly possessed with the need to buy an Apple device for gaming than go with the iPad Pro instead. It features nearly all the same games that make the iPhone a top notch gaming device, but they’re on a much bigger screen. You can also pick up a keyboard and actually be productive with the thing, and it’s cheaper than even the cheapest Mac laptop. And some of the best games currently available for the Mac? Also available on the iPad Pro. 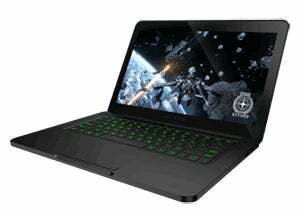 Our former Best Overall has dropped down to the Rest, not because it isn’t great, but because it’s slower and more expensive than the 2016 Razer Blade. The GT72s G Tobii isn’t a bad laptop (though that name leaves a lot to be desired). It’s got plenty of oomph and it’s the first gaming laptop to have eyetracking built in—which is incredibly useful if you spend all your days play Dayz. Unfortunately it’s also $2700. Which is a bit much—though the eye tracker-less version is a cool $2200. The X3 Plus is compact, powerful and looks just as awesome as the X7—but you can get the same muscle with better build quality, a lower price and more battery life in the Razer Blade. It’s sweet, but not practical. The Alienware 13 is a pretty great laptop, but the chassis is just a little too meaty to really qualify as “thin” and the built-in 860M GPU is a little too weak. Upgradable external graphics are a nice touch, but pricy. A good option if portab doesn’t matter. This laptop’s inch-thick frame makes it a little too big to fit into the “thin” category in our book. If you’re dead-set on being mobile, you’re better off with the similarly-priced Lenovo listed above. The ASUS G501 has a nice chassis, a good keyboard and a slim profile. It’s fine, but at $2,000 you can get a smaller, more powerful Razer Blade for the same price. Move along. Big like the 17-inch Razer Blade Pro, but much thicker and hampered by the same lower-end graphics processor. Nope. Yet another perfectly fine Gigabyte gaming laptop that’s just a little too expensive ($1,600) when paired against that Clevo. The P35 is a good 15-inch gaming machine with good internals—but the build quality just couldn’t compete with MSI’s kit. A good alternative to the Clevo if you want a better screen and an optical drive. I wanted to like the P37, but it’s more expensive than competitors and doesn’t offer any advantages in components or build. Unless you need an optical drive, skip it. This laptop is so close to being one of the best, but it’s just not. An amazingly well-designed machine with a gorgeous screen ruined by iffy battery life and last generation’s graphics tech. If HP gives it a serious refresh, it might be something. Virtually identical to the MSI GS70 Stealth in every way that matters. A good alternative if you prefer iBuyPower for some reason. Virtually identical to the MSI GS60 Ghost in every way that matters. A more colorful alternative if you prefer buying from Maingear for some reason. Virtually identical to the MSI GS70 Stealth in every way that matters. A more colorful alternative if you prefer buying from Maingear for some reason. Virtually identical to the MSI GS60 Ghost in every way that matters. A good alternative if you prefer buying from Origin PC for some reason. Like the other Razer Blade I mentioned, but bigger and with a less powerful graphics processor. Not bad if you want a thin 17-inch laptop, period. Only passable if you want to actually play video games on one. Just like our Best Overall pick, only with twice as much RAM and a gorgeous 3200 x 1800 display—but there’s no way its NVIDIA GTX 970M graphics chip can max out the latest games at that super high resolution. If you can live with that, it’s a great machine for $200 extra. There’s nothing wrong with the XMG P505, save for the fact that it’s just a rebranded Clevo P650SE for the British market. Buy this if you need a nice bang-for-the-buck gaming laptop and you live in the UK. It’s trendy, gorgeous, but not what you want. Super high resolution displays are great, but today’s graphics chips just can’t keep pace with them. If you want to run games at high settings, you don’t want a 4K screen.